Ari is a fugitive on the run with her brother, and when she crash-lands on ancient earth and pulls a sword from a tree, she is caught up in a cycle of magic and heroism. Ari is the newest reincarnation of King Arthur. With a cranky young wizard and a legacy to live up to, Ari must find the strength within herself to be the hero the galaxy needs and unite humankind. Published March 26, 2019, by Little, Brown and Company Once & Future by Amy Rose Capetta & Cori McCarthy is the first in a new YA series retelling the heroics of King Arthur with fantastic twists. What an amazing novel. 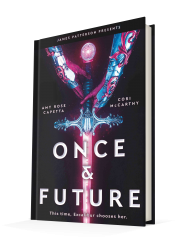 Once and Future has heaps of representation that make the book and the characters so engaging. First off, Ari is the forty-second incarnation of King Arthur, and the only girl to hold the title, offering up new challenges and new perspectives regarding the tale. For Merlin, who is trapped in the cycle of waking and training and aging in the opposite direction. Merlin is in a new era and a new world that gives him even more challenges than ever before. Together, these two characters tackle the challenges together. The diversity in the novel is really what makes the novel so enjoyable. 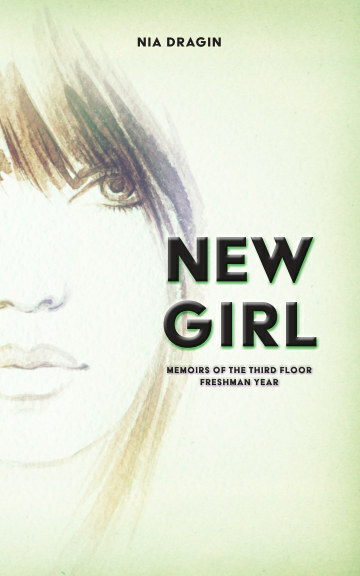 It is not only gender-bending the roles of the story in exciting ways, but it is also moving past the “normal” conceptions of society that modern day society is finally tackling in real life. It is beautiful to see a novel have racially diverse characters as well as sexually diverse characters, non-binary characters. Each character has depth and tension making them both complex and relatable. These characters bring dimension and tension into the story with their complicated relationships. It makes for such a compelling read to follow these characters on their journey in this sci-fi/fantasy retelling of King Arthur’s tale. It is written without hindrance and apology, as it should be, and at the end of the day, the representation is powerful. Do not forget to follow me on Facebook | Instagram | Twitter | Tumblr | BookBub | LinkedIn to stay tuned for future reviews.